We re-evaluated our food options and realized we wouldn’t make it to Wed dinner. Another trip to Walmart (I didn’t buy everything up front because I figured I would have to change some things). To make matters worse….I did my math wrong below (I think I forgot to add the coffee in) so I was actually over by $2.37! We took out the veggie burgers (luxury item! ), dropped the milk to 1L, switched out a can of soup for 4 packs of Ramen noodles (those are super cheap! ), added a can of beans, and we found 900 gm of Walmart brand frozen perogies for $1.77! That will be two meals for us! Buying apples was a serious event. First we were going to go with the 3 lb bag of MacIntosh for $4.47, then we found Red Delicious for $0.77/lb but Alan doesn’t like them so he got Granny Smith for $0.87/lb. We picked 5 each but mine weighted more so they cost $0.66 more. On a normal day we would grab a bag of apples, not look at the price at all and likely compost half of them because we forgot to eat them. Today, as we left Walmart, we savored EVERY BIT! 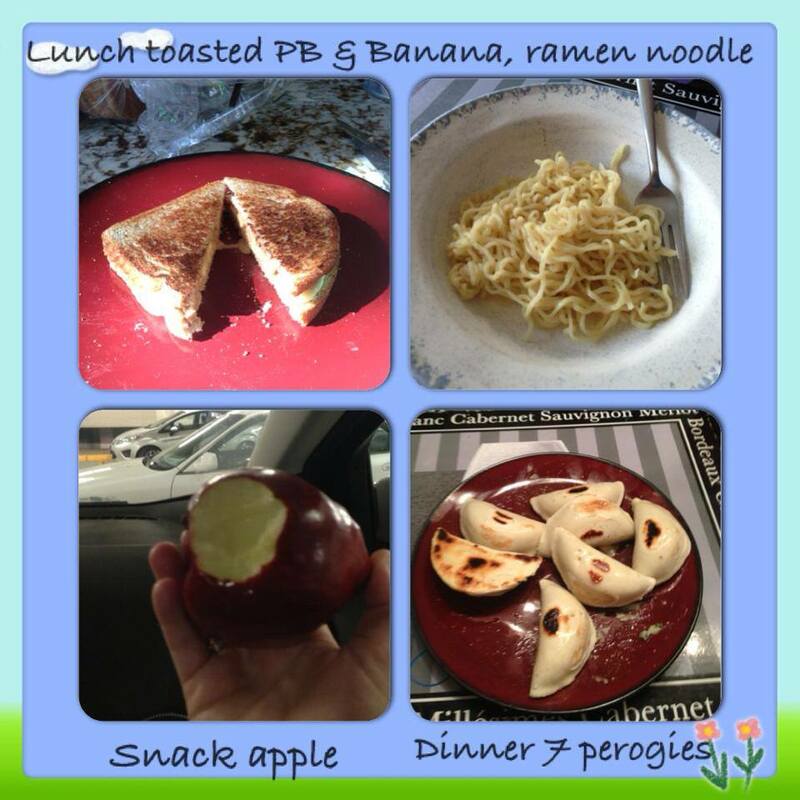 Category: 2014 Day 3, 2014 Welfare Food Challenge, 2014 WFC Participant Blog Tags: Chantelle S.